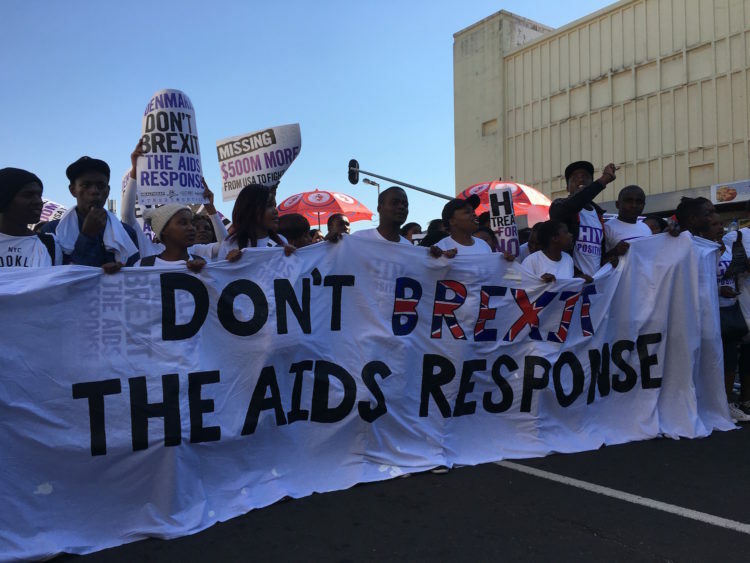 When the International AIDS Conference took place in Durban in 2000, South Africa’s proud tradition of protest singing was in full force. Activists were furious at the world’s inaction on the AIDS epidemic in Africa. apartheid-era songs were brought back, with the lyrics changed to reflect the struggle to gain access to life-saving HIV treatment and to combat the AIDS-denialism of the South African government at the time. 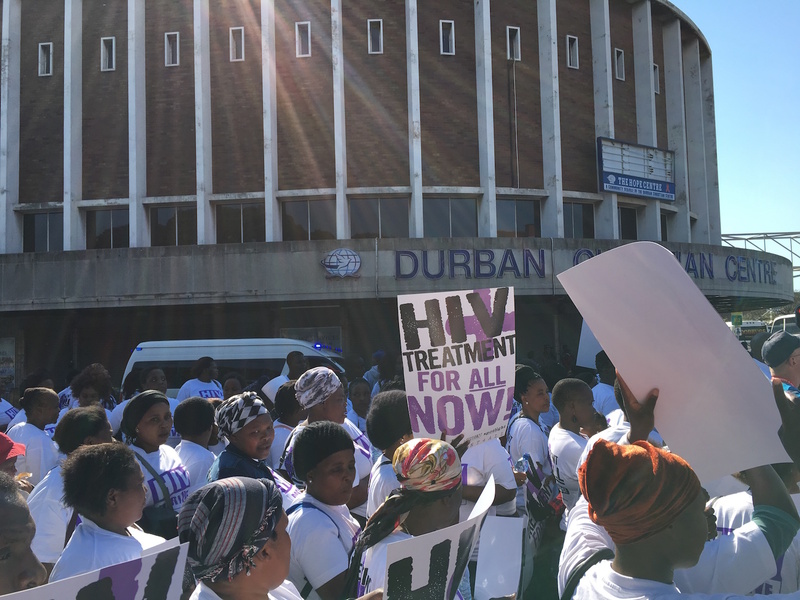 Last week the conference – which is the premiere gathering of AIDS researchers, scientists, and activists – took place in Durban once again. This time the context was completely different. Around 17 million people are now on HIV treatment (with 3.4 million in South Africa alone) and billions of dollars are spent every year for HIV/AIDS. Yet AIDS activists are still angry – healthcare workers are underpaid, health systems are strained beyond capacity, newer generation treatments are expensive, funding is starting to dwindle, and certain groups like adolescent girls are being infected at alarming rates. 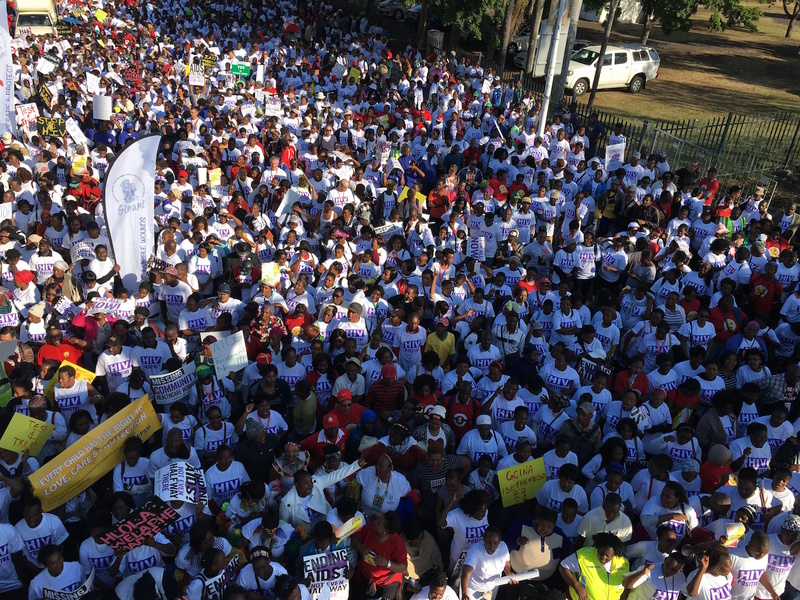 Once again, the powerful harmonies of AIDS protest songs were heard on the streets of Durban. I’ve tried to capture a little of what I heard last week. On the first day of the conference, over 8,000 activists marched through downtown Durban. Above, I filmed activists singing an apartheid-era song known as ‘Dubala, Dubala’ as they crossed under a flyover bridge leading to the main conference centre. Acapella singing is an important part of life for South Africans, many of whom begin the day with song – at schools, workplaces, hospitals, or even during the morning commute. But singing is especially significant for those that work in healthcare. Health workers use song as a way to pass on important messages to their patients. In fact, a few nurses told me that they actually were trained to sing at nursing schools. ‘Singing heals the broken heart,’ said Ntombi Lushaba, the leader of the group Afrika Mamas, a seven-piece vocal ensemble based in Durban and Johannesburg. I met Ntombi during my stay in Durban and she helped identify the songs I recorded. ‘South Africans sing to hold our government accountable but we also sing to encourage the fight against AIDS, just as we fought to end apartheid,’ she told me. The nurses of the HIV clinic at King Edward VIII Hospital in Durban are doing exactly that. I went to their hospital to interview parents of children living with HIV, and the nurses performed a piece they put together for their patients. They sing that ‘we will conquer’ HIV, tuberculosis (one of the major causes of death for people with AIDS in South Africa), and sexually-transmitted infections. But many health workers in South Africa are furious about their working conditions, and have been on strike for weeks now. Below is one song that I recorded at the main protest march. The well-known South African tradition of ‘toyi toying’ was also on display. Originally from Zimbabwe, ‘toyi-toyi’ became a hallmark of the struggle against apartheid. Last week, activists gave toyi-toying a distinctly 2016 spin. Protest songs rang out within the conference centre as well. AIDS activist organisation Treatment Action Campaign (TAC) and the public interest, social justice, and legal rights organisation Section27 held a week-long die-in at the entrance of the conference about the unfair working conditions that community health workers experience in South Africa. In the video below, activists sing ‘what have we done?’ as they speak about the neglect community health workers suffer in many parts of South Africa. TAC was founded in December 1998 and has been at the forefront of AIDS activism in South Africa ever since, becoming one of the most powerful and politically savvy AIDS activist organisations. They even had their own choir, named ‘The Generics,’ which rewrote a number of apartheid-era songs demanding that Western pharmaceutical companies allow access to their life-saving medicines. After the conference ended, I went to the northern township KwaMashu to meet with Ntombi and learn more about her community – a hotbed for Zulu arts and music, centered around the lovely Ekhaya Arts Centre. Walking the hilly expanses of this large community, Ntombi explained that song is vital ‘to comfort’ the many people affected by AIDS in her community. All of the members of the seven-piece vocal group she belongs to weren’t in Durban last week, but I got a small taste of their amazing harmonies, standing in the backyard of a friend’s house with the hills of KwaMashu behind us. I asked her to sing me an example of a ‘comforting’ song and got this quite comforting number.